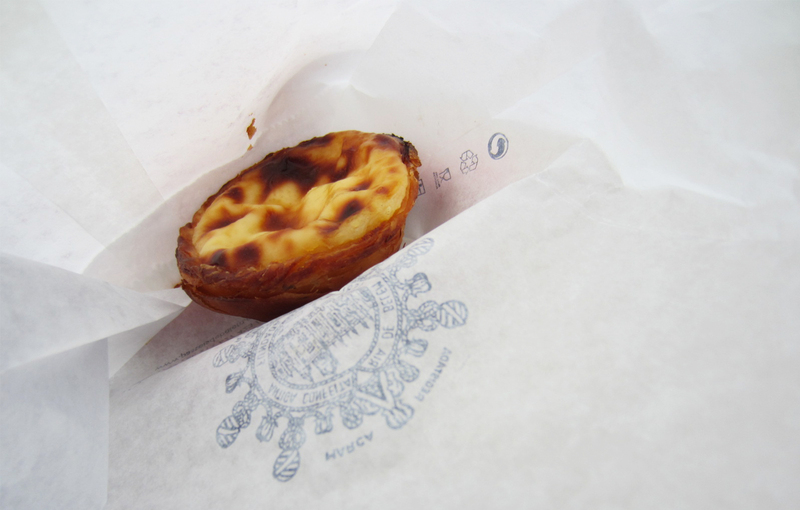 When people ask me for recommendations in Lisbon, I tell them to climb the São Jorge Castle, take a daytrip to Sintra, bar hop in the Barrio Alto neighborhood, try the ginjinha and eat at least one of the city’s trademark pastel de nata. 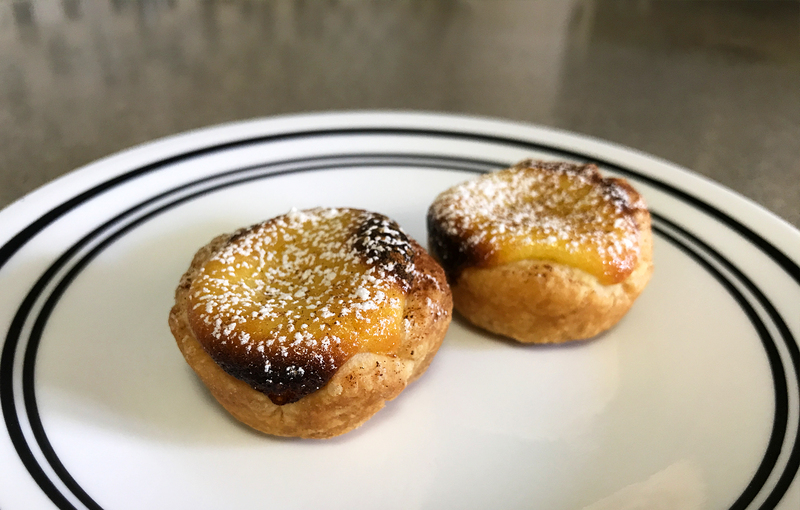 The latter is a custard tart that is found throughout Portugal, but its origins can be traced to Lisbon’s Belém district just west of the city center. Legend has is that in the 18th century local monasteries and convents used mass quantities of egg whites for starching clothes and so as not to be wasteful, used the leftover yolks to make cakes and pastries. 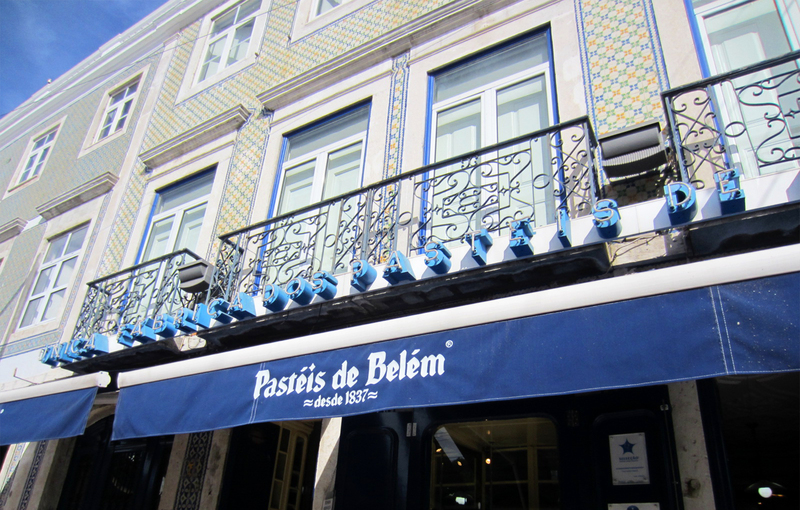 Visitors to Lisbon today often flock to Pastéis de Belém (conveniently located steps from the Jerónimos Monastery in Belém), which claims to be the birthplace of the pastel de nata. 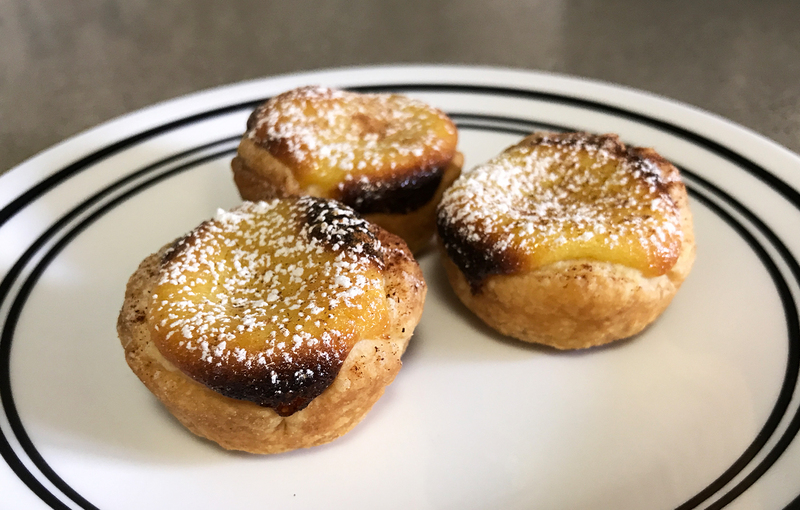 Their recipe is a closely guarded secret, rumored to be divulged to only 3 pastry chefs at a time, so I was surprised to learn how easy it is to make a decent interpretation of these tarts on my own – no travel to Portugal or waiting in long lines for the coveted pastries required. They’re perfect for springtime gatherings or even weekend coffee at home, and are best enjoyed warm with a sprinkle of powdered sugar or cinnamon or both. Preheat oven to 375 degrees Fahrenheit and lightly grease two 12-compartment mini muffin pans. 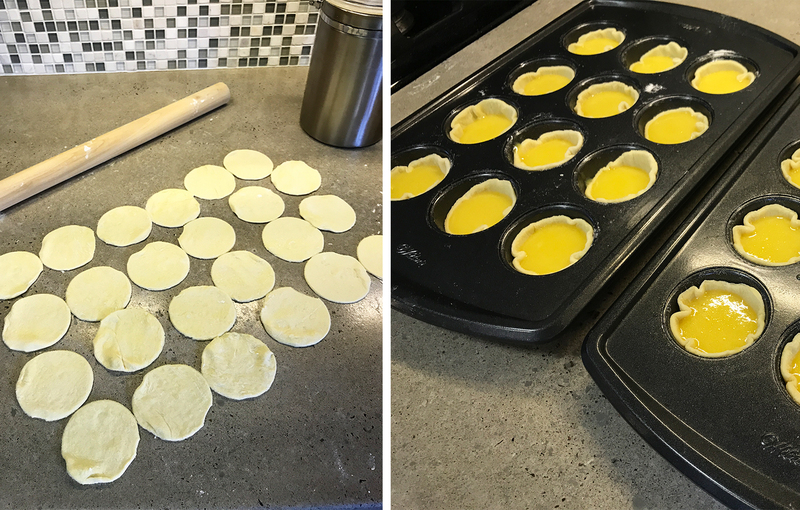 Places dough circles in muffin cups, pressing into bottom and sides of the pan and set aside. In a small saucepan combine milk, cornstarch, sugar and vanilla over medium heat, whisking constantly until mixture thickens. 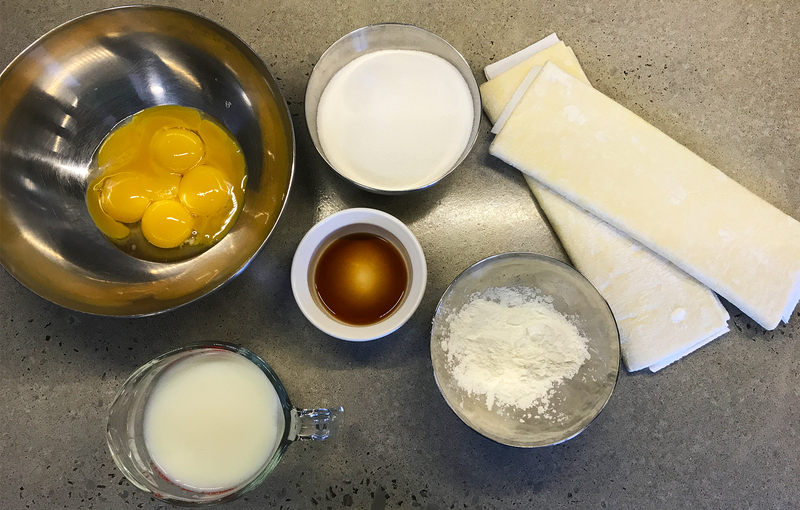 Remove from heat and gradually whisk half of hot milk mixture into egg yolks in a separate bowl. Add this mixture back into remaining milk mixture in saucepan, whisking constantly. Cook mixture until thickened, about 5 minutes, continuing to stir. Cool slightly before removing and dust with powdered sugar and cinnamon before serving if desired. Recipe from Viking River Cruises. Definitely easier than I thought it would be. Let me know how they turn out if you do try the recipe! Yummy, those tarts are THE BEST!! Yours look delicious! Thank you! They differ in appearance since I’m baking at a high altitude but they taste pretty good!